Finally back to finish up the list that started all of this off. While I'm sure some will be surprised by some obvious exclusions and even more shocked at some inclusions, again this is just what I consider to be essential movies to watch every December. You may agree or disagree but just remember that chances are if you don't agree with me, then you're wrong. Just kidding. Let's get this show on the road. I still find it kind of odd that this movie has taken on the life that it has. Will Ferrell is a staple of most modern Christmas'? What a strange world we live in. But this film really does manage to catch lightning in a bottle, given that it was a movie by Jon Favreau, who hadn't really had much success in the kid-friendly genre. Somehow the movie pulls in many elements that you wouldn't think would actually work, and gives them new life. 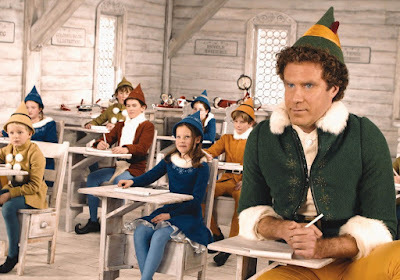 Fun Fact: Will Ferrell turned down $29 million to be in Elf 2 in late 2013. There are many different forms of Charles Dickin's classic "A Christmas Carol" but this may just be my favorite. And it's no wonder given that it's headed by Bill Murray, who may or may not be the funniest man on the planet. 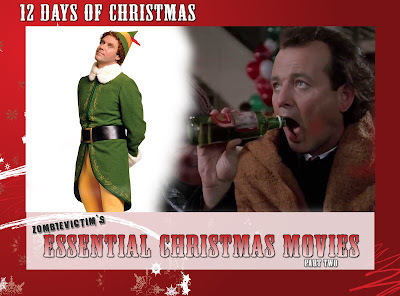 I'm not sure if my parents actively avoided letting me see this film, because it does have some rather dark content, or if it was just a different day and age and they simply didn't own the film on VHS (similar to why 'A Christmas Story' didn't enter my annual rotation until my early teens). Either way, I'm glad I didn't catch on until later in life because it's really grown to be a personal favorite of mine and one I wish I could get away with watching outside of December. due to his friendship with Bill Murray. This has always been the version of "A Christmas Carol" that reverberated throughout my childhood. Sure, I knew of the existence CHarles Dickens classic, but the Muppet version was the only movie in my annual holiday rotation. 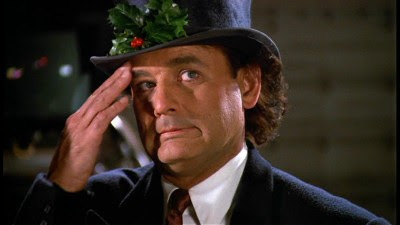 Scrooged was a more recent addition as its more adult content, but a part of me will always prefer this one. 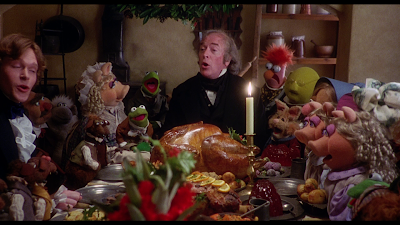 the narration and prose of the Charles Dickens novel into the film. It had taken me forever to finally see this movie but now that I have, it's a must. 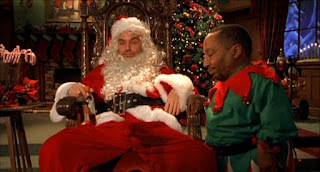 Sure, these days the shenanigans going on can even be seen on some Cable TV shows, but this level of swearing--involving Christmas, no less!--There's a sequel on the way and while I doubt it'll have the same spark as the original, seeing any Christmas movie with severely adult content makes me chuckle.